An idea to build mechinical system in the airplanes that safe them from crashes and also safe passengers from hurt. 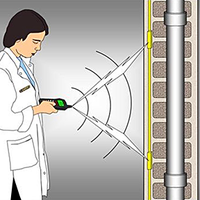 A mobile phone fault detector is a portable device that will be used to detect all hardware faults in a mobile phone. Instead of having a straight edge,put a angle on the shovel. It is a small 90 degree wedge. a specially designed plastic grid that goes on top of the catch pan. A ladder that can help car washer to reach the top of a car that a traditional ladder can't.